New member classes are formed once a year and prospective member events are held throughout the year. If you would like more information regarding membership, email WomenForRiley@rileykids.org and designate Membership in the subject line. Years of Service: Be an active member of Women for Riley for three years. After three years, members have the option to remain active on yearly basis or become an Associate Member. Associate Members continue engagement with Riley Hospital, but not in an active capacity. 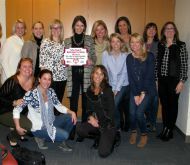 Annual Gift: Women for Riley members commit to making an annual gift of $1,000 or more to Riley Children’s Foundation by November of each year. We require 100% participation so we can meet our philanthropic goals and create the greatest collective impact on Riley kids. Community Ambassador: Attend the new member orientation meeting and take a tour of Riley Hospital for Children to become knowledgeable about Riley Children’s Foundation, Riley Hospital for Children and Camp Riley. Become educated about the grants program supported by Women for Riley. Meetings: Attend a minimum of three out of our five general meetings. Participate: Help sustain the organization by attending meetings, becoming an officer or chairing a committee, serving on a committee and volunteering for Women for Riley special projects. Members are also asked to vote to approve new grants at the February general meetings after reviewing all grants and the evaluation and recommendation of the Grants Committee. Prom: The Riley Cancer Center Prom is Women for Riley’s signature project. Members have the opportunity to help patients and their families in an intimate setting. Each member is asked to serve on a Prom Committee. Member Engagement: Women become involved because of their passion for Riley Hospital, but it is also a chance to meet and work with other women who share a common purpose. Plan to attend social functions to get to know other members and help the group develop an esprit de corps. 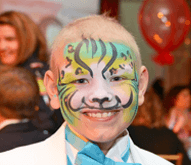 Foundation events: Participate in Riley Children’s Foundation events such as the Annual Luncheon and Riley Society Events. 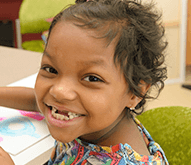 Volunteer: Members can become trained Riley volunteers and participate in arts and crafts activities each month at the hospital. Member recruitment: Help to identify and recommend potential Women for Riley members. Attend the annual new member coffee (February), sponsor prospective members and attend the spring luncheon in May to welcome new members.